Urban living is fast paced, mostly chaotic and to a large extent stressful. Having a space (however small) to breathe in and relax is absolutely essential for a few quiet moments or maybe just to sip a cup of tea perhaps? Balconies are one of those open spaces which if we put in a little bit of effort can give us immense pleasure, a place to escape to. A balcony garden itself sounds a bit much, when we think about the small balconies that most of us have. But your garden can be two small planters or an entire shelf full of plants depends upon the amount of time you have each week to dedicate to it and the space available of course. Let us look at ten really simple ways to make your balcony space into your dream garden. Get a few huge pots (one or two ) are more than sufficient. Hang a few smaller pots and put in a few more plants and you have a lush and lovely mini garden all with a minimum of effort. For the minimalist gardener, a wall planter with succulents and a few herbs which are easy to maintain too. 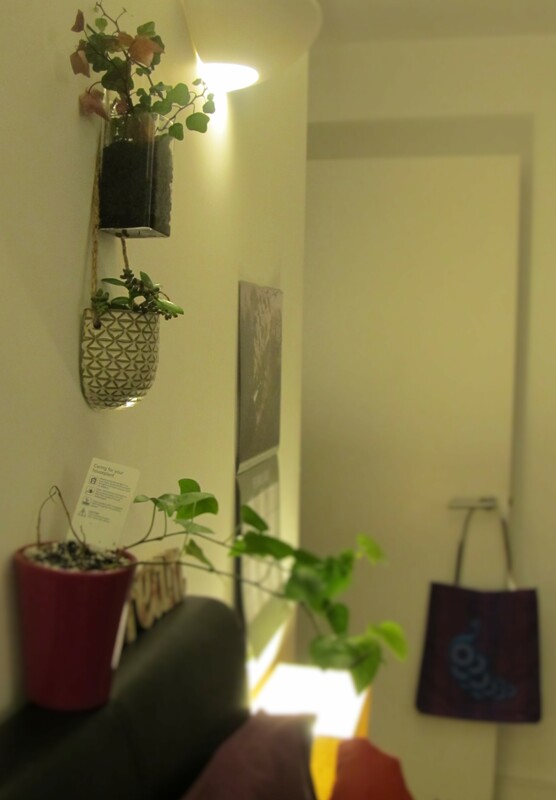 Go vertical, get a ladder plant stand to add more plants and of course it’s a brilliant space-saving idea. Get yourself a planter wall like the one seen above which also acts as a great functional area divider not to mention the fact that you have a vertical garden too. Create space for some hanging planters. Grow some seasonal flowers in a crate. Your balcony garden can consist of just a single easy to maintain climber like the jasmine. Build a curved canopy and grow a creeper like the English ivy and create your own haven in a tiny space. 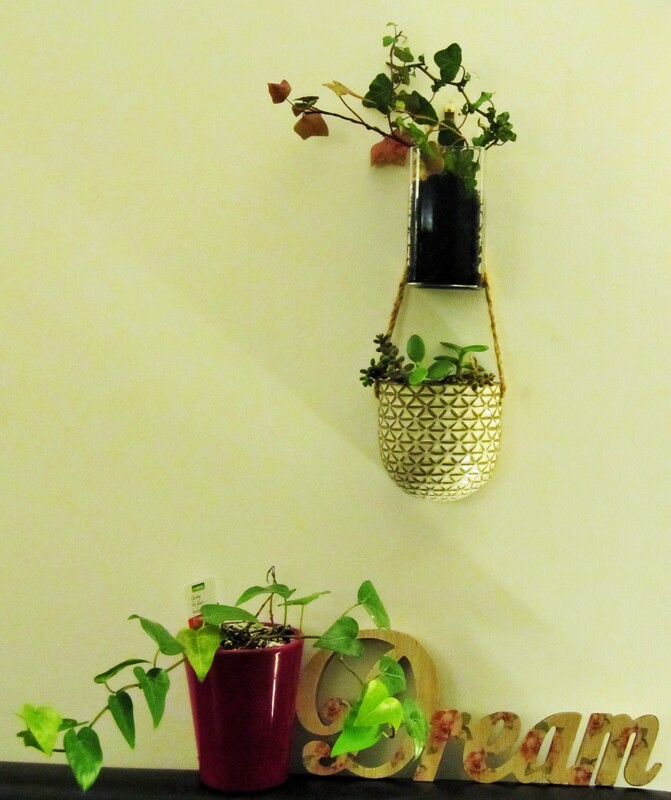 Use some canning jars to grow herbs and mount them on the wall. Are these ideas not only space-saving but fairly easy to do if you really set your mind to it. 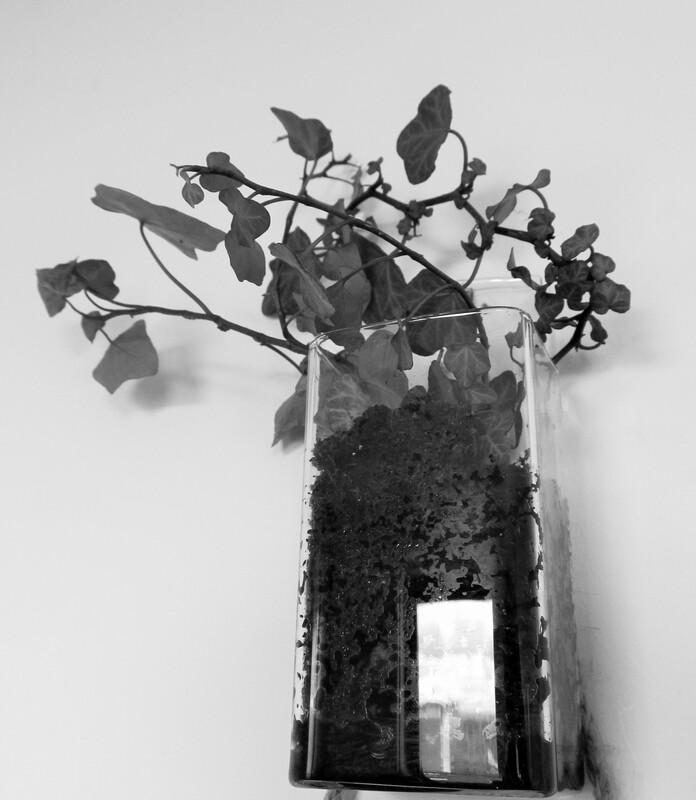 I hope you liked these ideas for maximizing space and creating an interesting plant display. Do you have a balcony garden? Do share your ideas. The February theme of the Urban Jungle Bloggers, a blog started by Igor (www.happyinteriorblog.com) and Joleix (www.joelix.com) is hanging plants. 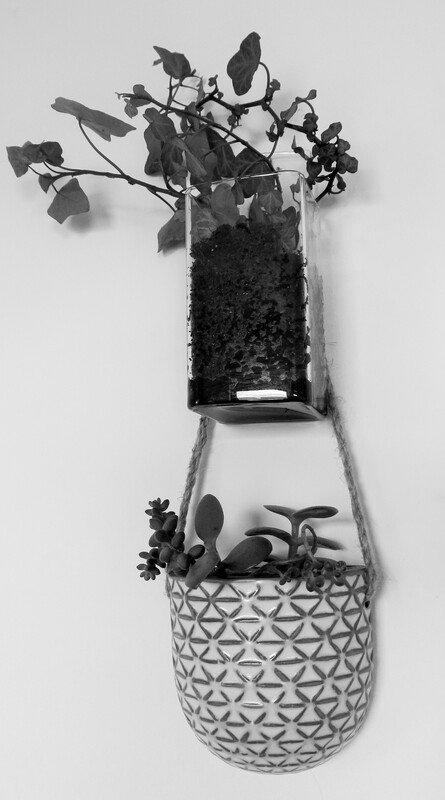 I am excited to share a few photographs of my little hanging planters keeping with this theme. Succulents are easy to look after and make really good indoor plants. 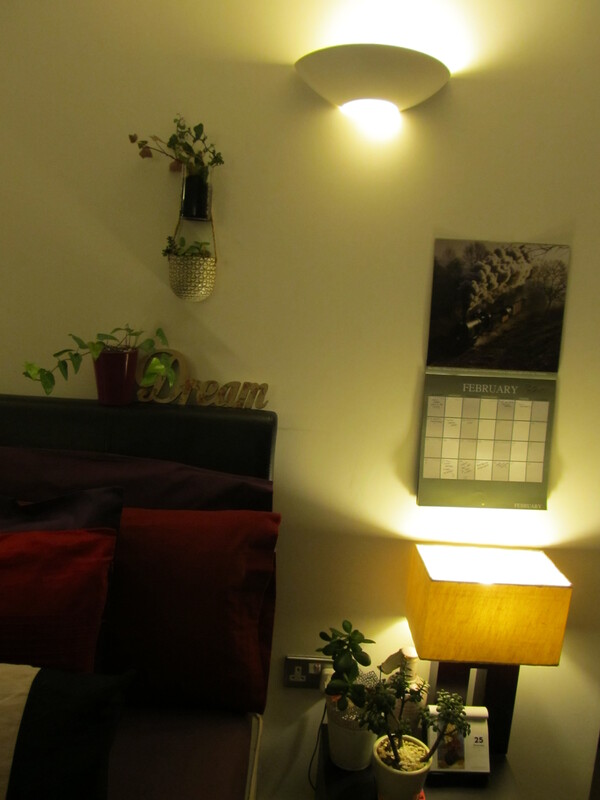 My collection of plants in the bedroom….. Proud of my little green friends…. 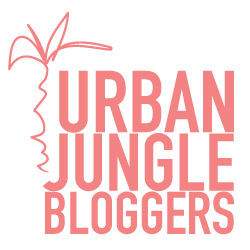 You can join the Urban Jungle Bloggers too by visiting their website:http://www.urbanjunglebloggers.com. Use #urbanjunglebloggers on twitter and instagram. You can find a lot of inspiration on their Pinterest board too.